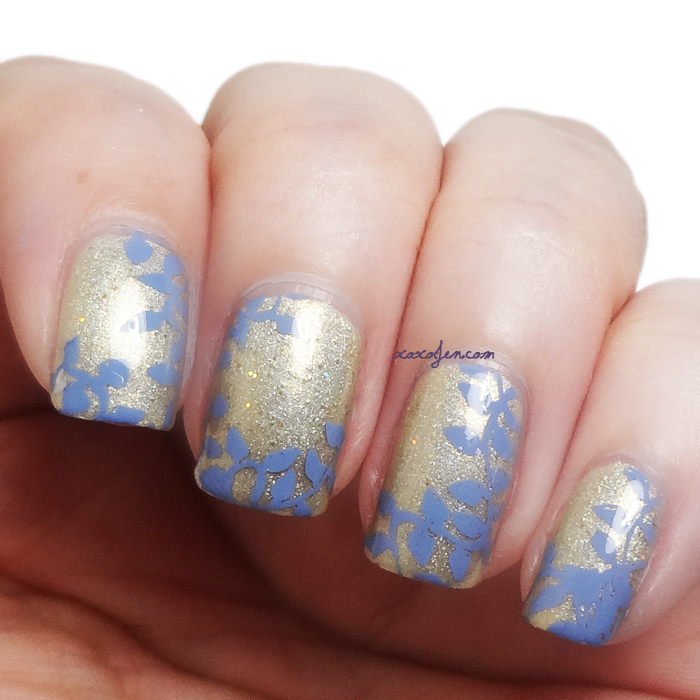 When I saw this design at The Clockwise Nail Polish blog, I fell in love with it! 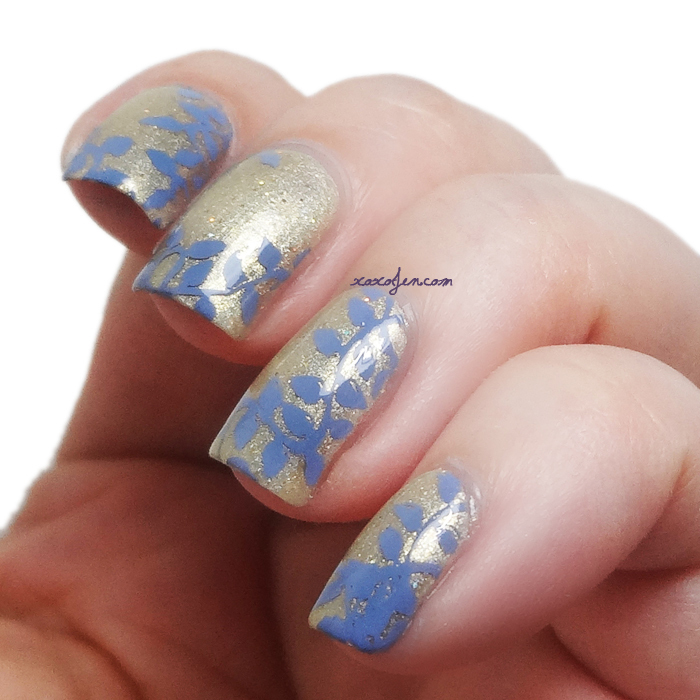 I happened to be wearing a soft champagne gold holo from Ever After Polish called Creature of the Night so I found a Vivid Lacquer design that I thought would work great for this! I like the original design from The Clockwise blog better than mine, but I am happy with my results. What is your most recent design inspiration? Great combo, that's lovely !